Memetic modification is the order again. I neither want to spoil the “surprise” of my final choice for favorite book (which of course will not be “final” and could in fact end up being multiple books), nor limit myself to the impossible task of one favorite passage. Some of my favorite books, like The Lord of the Rings and The Silmarillion, are simply too large and wonderful for me to hone in on any single passage. So instead I have chosen two passages from two books which speak to me in very different ways. The next is from The Lantern Bearers by Rosemary Sutcliff. It comes from the end of the book, is beautiful, and benefits from context which I cannot give you. +) The pages following it are equally beautiful, but you must earn them by reading the book itself. Aquila reached for his best cloak, where it lay in a tumble, dark as spilled wine, across the foot of the low couch, and flung it round him, hastily settling the shoulderfolds. He was late, for there had been some trouble down at the horse-lines over the new Cymric steeds that he must see to, and the feast would have begun by now; this crowning feast for a new High King, who was the hope of Britain. He stabbed home the pin of the great bronze-and-silver shoulder brooch, and when he looked up again, there seemed to be all at once more warmth in the room, and more colour, for Ness stood in the inner doorway in a gown of thick, soft wool the colour of the apple flames. Roman in so many things nowadays, she had never taken to the pale colours that Roman ladies wore, and suddenly he was glad of that. “I feel as though I could warm my hands at you, in that gown,” he said. Aquila felt that he had been stupid in pointing that out to her as though it were a thing that she might not have noticed, when it must be so much nearer to her than it was to him. He wondered whether she had regretted the choice that she had made, almost thirteen years ago, but could not find the words to ask her. “Why should I regret it?” Aquila said, and put his hands over hers. The meaning, the striking emotion, of this passage is gathered from all that came before it. Aquila’s long years of suffering, the heartbreaking way he and Ness married against both their wills, their years of bickering and misunderstanding. So much pain. But then, finally, to see them like this, where they have comfort with each other and both are surprised to realize that they do not wish to leave each others’ presence, even for an evening…oh my friends, all I can say is that this is the only passage of a novel to have wrung even a few tears of joy from my stubborn eyes. I love it. I reread it often on its own, and its power remains. It encourages me, sobers me, and causes me to praise God for His grace in allowing even flawed beaten creatures such as we to experience the joys of forgiveness, mercy, healing, and love. The difficulty has been deciding whether my favorite male character is defined as the most admirable, or as the one in whom I am most interested as a person. I must go with the latter. He is not the most admirable, nor is he a model for how to live one’s life. His flaws are aggravating and his spiritual wounds are deep. He has few friends, and fewer that truly know and understand him. But no other character’s situation has moved me so much, nor in the end given me such long-sought joy, as that of Aquila from The Lantern Bearers. Make no mistake, Aquila is a hard man to like, both for those around him and for readers. He is cold and distant. He will not speak of the grief he has suffered in the past, nor does he speak of his feelings or inner thoughts. He spends years bottling up his pain and giving himself no relief, no closure, no peace. His manner is hard, his face usually inexpressive. His friends are few, and his respect is hard to win, although no man will gainsay his honor, courage, or the surety of his word and sword. When he does speak, his words are usually businesslike, or bitter. No one, it often seems, can understand him, least of all himself. But Aquila, importantly, does not know this about himself; or at least, not until Ness tells him in that passage. He knows he is a difficult man, but he has never tried to be so, nor ever truly desired to hurt anyone. Ness’ confession surprises him, because he has never thought that he was important enough to have such an effect on someone else’s life. It’s almost as if he just doesn’t know how to be sensitive. And this is why he is such a sympathetic main character. We follow Aquila from just before his troubles start, when he was happy and loved and healthy in spirit, all through the events that batter him and shape him. Sutcliff manages the difficult task of tracing the essential development of a man over twenty-some years in just under three hundred pages, and she does so without wasting a page or missing a defining moment. 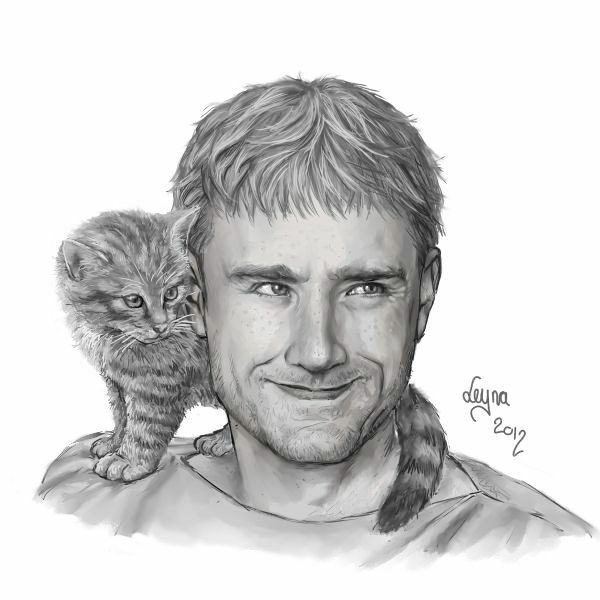 Aquila is one of the most complex and believable characters I have read, and I like him despite his faults because I feel I understand him so well. The most beautiful part, the reason he is my favorite male character, is the slow and tender way he softens, grows, and begins to heal. This change does not come in clear, dramatic moments, as they usually do in book and most especially in movies, but in quieter events that demand a shift of attitude from him. Naming his only son after his father marks the first time Aquila has admitted to anyone any detail of his past; in this case, Ness learns that he had a father, and that he loved him. A strong and cunning warrior, he is responsible for turning Ambrosius’ bands of horsemen into a highly trained cavalry force, and thus might be considered the grandfather of the English knight (considering how in Sword at Sunset Artos, the historical King Arthur, builds on Aquila’s foundation to increase the importance and effectiveness of the cavalry). All men respect him. He is a legitimate authority, a man who in his outward life is pragmatic and rational, purposeful and not to be trifled with. The final chapters of the book are what solidify him as my favorite male character. I dare not say much for fear of spoiling it, but Sutcliff brings all the strands of her story together into a single event that is startlingly unassuming despite the its importance to his life. Aquila is confronted by the fruit of what caused his pain, and finds himself with a choice: enacting his anger or coldness of heart is supposedly what he has wanted, but enacting mercy (and even, in a way, love) would entail forgiving himself and coming to terms with his past. He chooses the latter, and what follows is a short series of moments that are painful in the way that the cleansing of a wound is painful. He makes the choice to heal. And it is a brave choice, a hardy one that takes more courage than any battle charge he has been part of. For this, he is my favorite character. I fear I have given too much detail, and veered too closely to a book review. Forgive me for that. It is difficult to describe my affection for a character who on the surface should be unlikable. 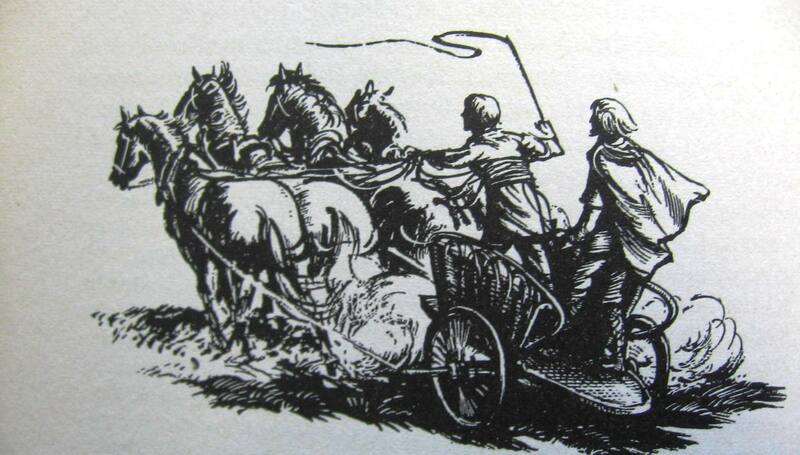 The magic is in Sutcliff’s handling of him. 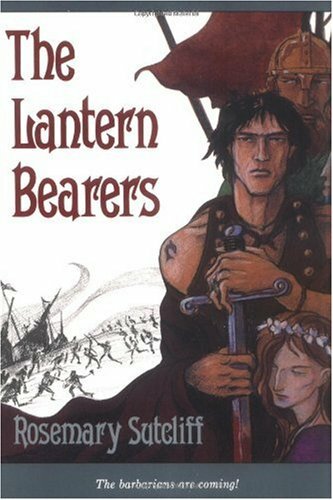 For the record, The Lantern Bearers is the only book at the end of which I have shed tears. Series: No, though it forms a thematic trilogy with The Silver Branch and The Lantern Bearers. Spoiler-free Synopsis: Around A.D. 117, the Ninth Legion marched north of Agricola’s Wall to deal with an uprising of Scottish tribesmen and was never seen again. Years later, the commander’s son, Marcus Aquila, decides to venture north to find the lost Eagle standard of his father, taking with him only Esca, the former British slave who has become his friend. 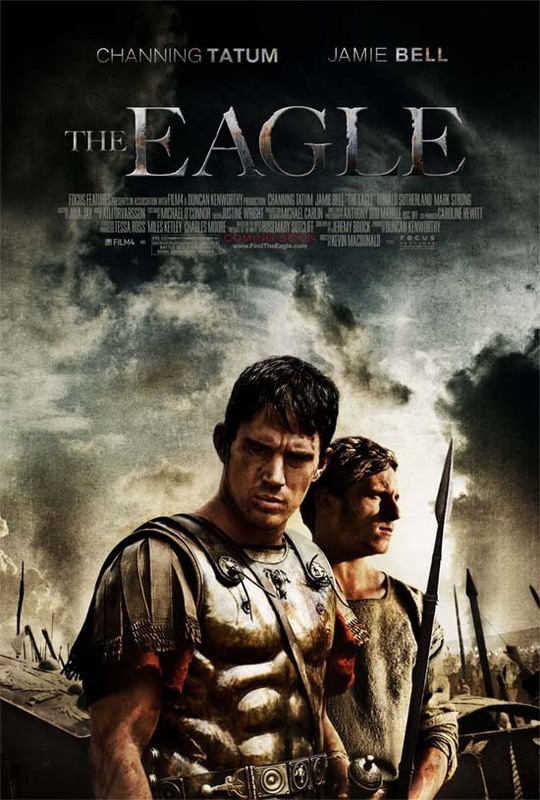 The Eagle means Rome, honor, and good faith kept – but in the hands of Rome’s enemies, it could become a powerful weapon. Reason for Rereading: The release of the film adaptation The Eagle prompted me to return to the book, some of which I’d forgot. Reason for Finishing: It’s simply a really good story, exceptionally well told. 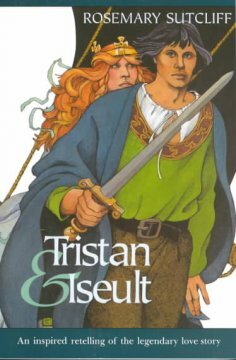 Story Re-readability: There are reasons this is considered a legitimate classic of both young adult literature and historical fiction in general; reasons I hope to expound below. This was my third read, and I can’t wait until I have a good excuse to return to it again. Author Re-readability: Sutcliff is one of the very few authors whose books I will buy just on her name alone, as long as I have enough money available and it’s a book I don’t own. Her prose style is so consistently graceful, warm, and personal, that rereading her books feels like reminiscing about shared halcyon days with a fond old friend, and reading a new book by her feels like catching up on the life of a good friend whom you haven’t seen in a long time. MPAA Rating: PG-13 for battle sequences and some disturbing images. 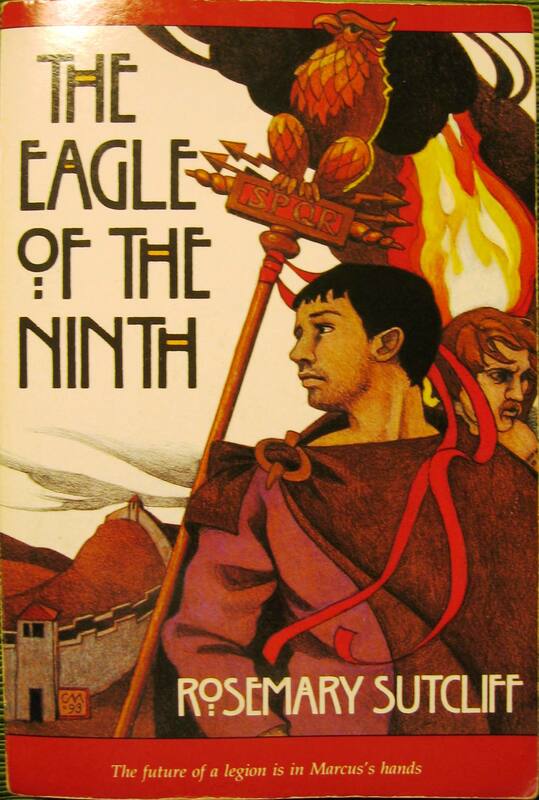 Reason for Beginning: As it’s based on the novel The Eagle of the Ninth by Rosemary Sutcliff, one of my favorite authors, I desperately wanted to see this. Been waiting for it for years. Reason for Finishing: Somewhat classic-style adventure story, and good entertainment. Movie Re-watchability: Yes, though I would let a little time go by first. Because the story is so simple and focused, I predict it will become the kind of movie I can easily jump into at any point, and enjoy equally in individual chunks or as a whole. It’s nice to have some movies like that. Director Re-watchability: Hard to say, really. It’s the source material and art direction that make me like The Eagle so much, although Macdonald’s overall directing is good. He’s clearly talented, but I’m wary about his camera work: shaky cam and I do not get along. Wouldn’t know what to expect from another movie of his.